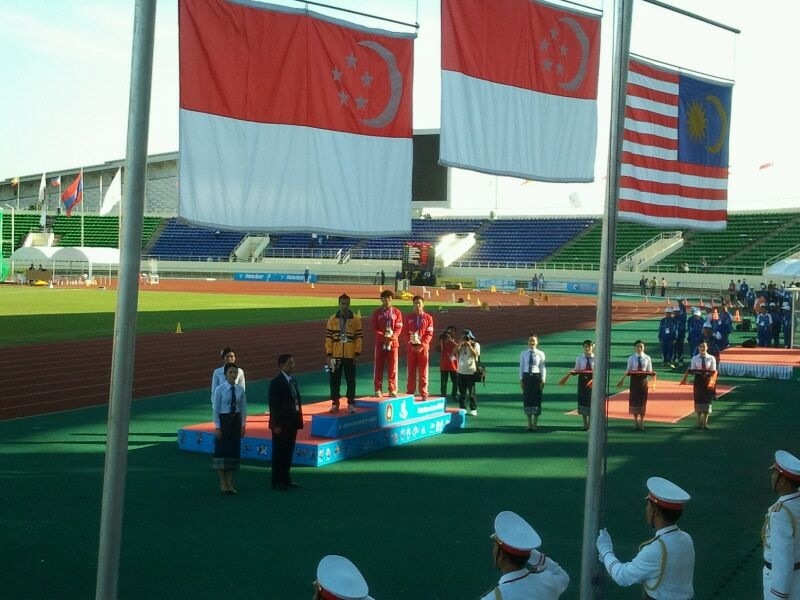 Gary Yeo rounded off his superlative form this year with Team Singapore first gold medal from ASEAN University Games in the men 100m final. Gary ended his race in a new personal best timing of 10.44 seconds (1.1m/s). The timing alone was better than his last season SEA Games silver medal timing of 10.46 seconds & with that the first Singapore athlete to qualify for the biennial SEA Games (2011 men 100m bronze mark is 10.47s) to be held next year in Myanmar. 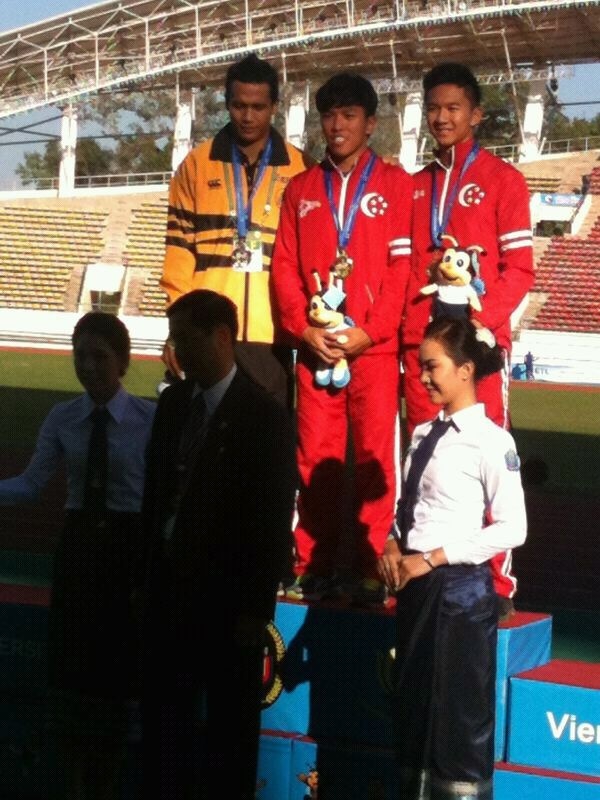 Below are other results of Singapore athletes from Day 1 of 16th ASEAN University Games 2012.